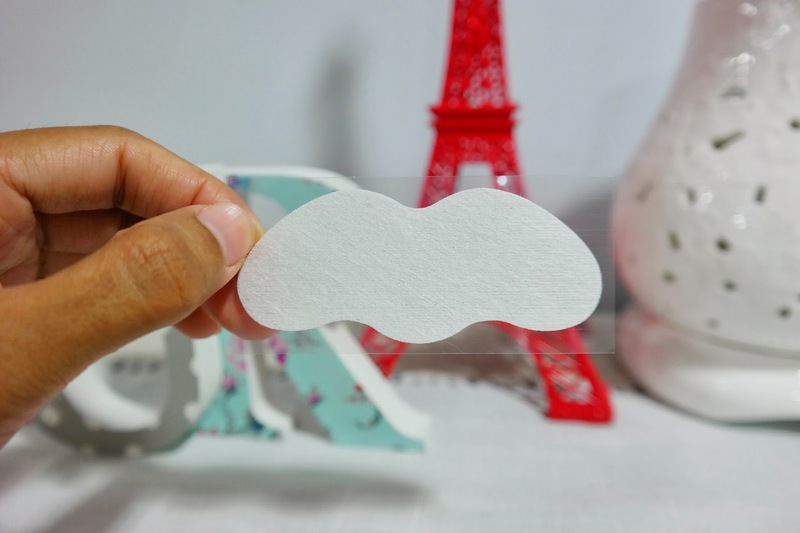 I have tried pore strips from bigger international brands but Guardian Pore Strips have to be the absolute best one out there! 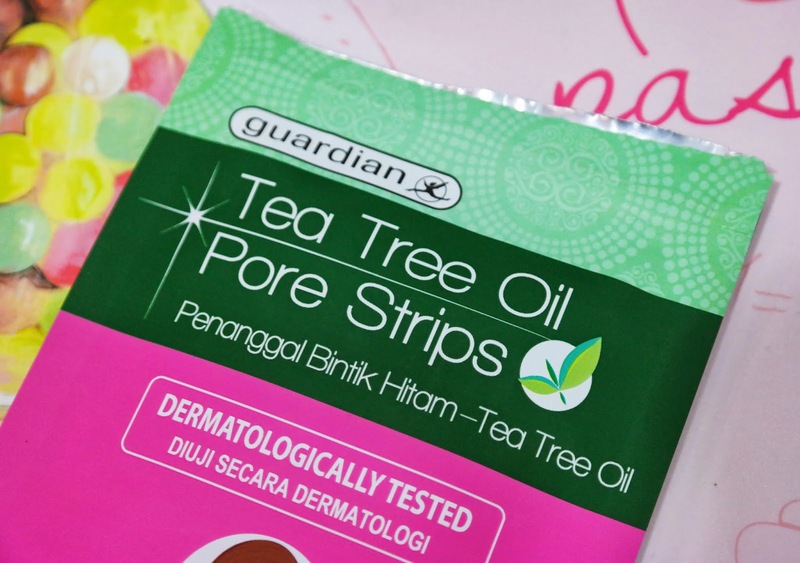 The claim: "Guardian Tea Tree Oil Pore Strips unclog and deeply cleanse pores effectively. 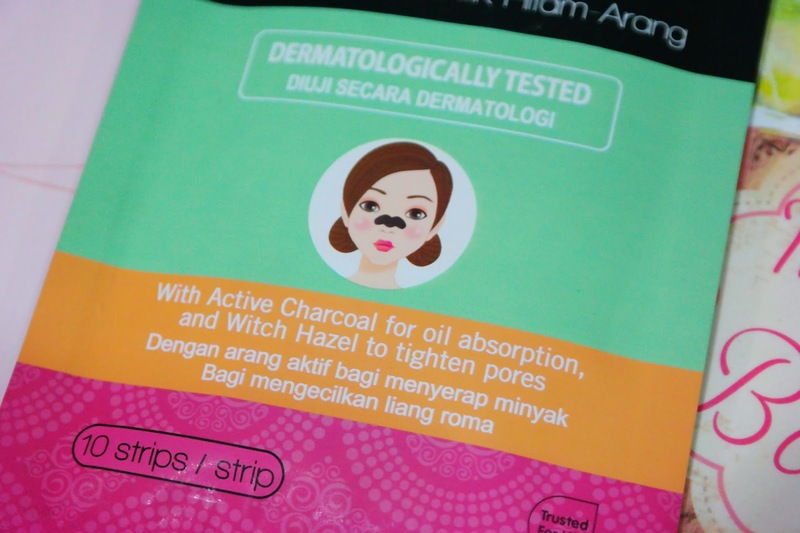 It helps to remove stubborn blackheads and impurities on skin instantly with an anti-bacterial property. Combined with Witch Hazel, it tightens pores with a soothing sensation. Skin is thoroughly purrified and refreshed after use. Dermatogically tested." 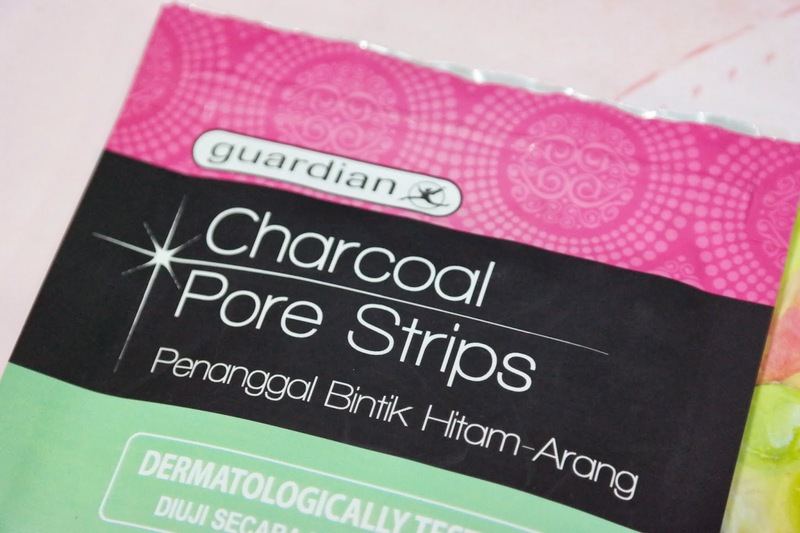 The claim: "Guardian Charcoal Pore Strips remove blackheads effectively. They contain active charcoal for oil and dirt absorption as well as witch hazel to tighten pores, while peppermint oil offers a cooling sensation. Skin is thoroughly cleaned and unclogged after use. Dermatologically tested." 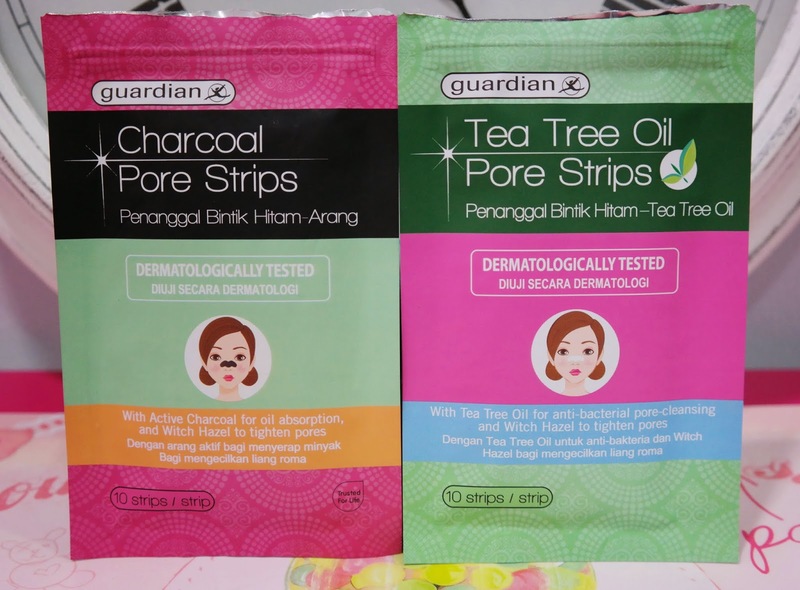 Guardian now offer Tea Tree Oil pore strips alongside the Charcoal ones. The pore strips now come in cute colourful little plastic packs. The packs are nicely sturdy too! You need to tear the top part of the plastic pack and take out the strips but not to worry, the plastic packs are resealable, like Ziploc. 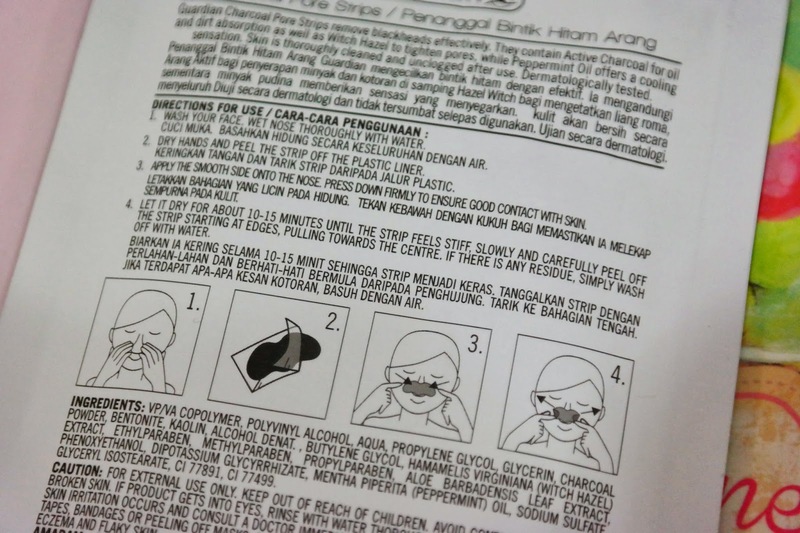 There's instruction on how to use of these strips at the back of the pack. 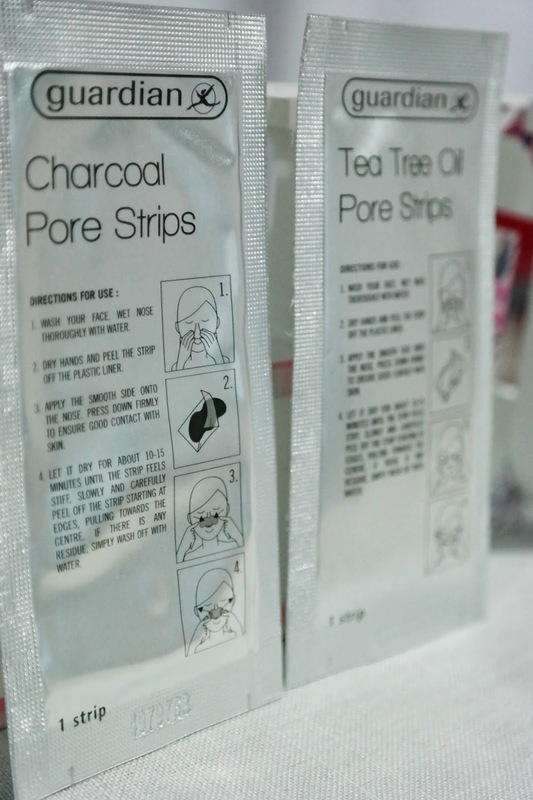 The strips inside the pack are sealed inside a smaller pack which some might find a little troublesome, but this way your pore strips remain hygienic! There's instruction on the back of this smaller pack too. One of my best friends was the one who recommended me these and I must say, the Guardian Pore Strips actually work! 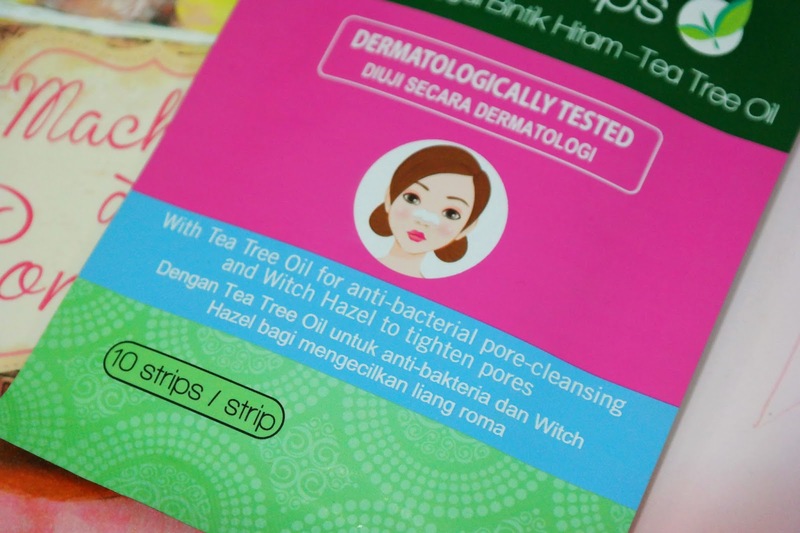 The strip removes more blackheads than any other pore strip I've ever used. I alternate using the Tea Tree Oil and Charcoal Pore Strips but for now my preference is the Tea Tree Oil as it smells better. The Charcoal ones can result in black smudges that could get transferred to your clothes if you're not careful. The instructions says to leave the pore strip on for 10-15 minutes but for it to be completely effective on me, I let it dry for up to 25-30 minutes before I strip it off. 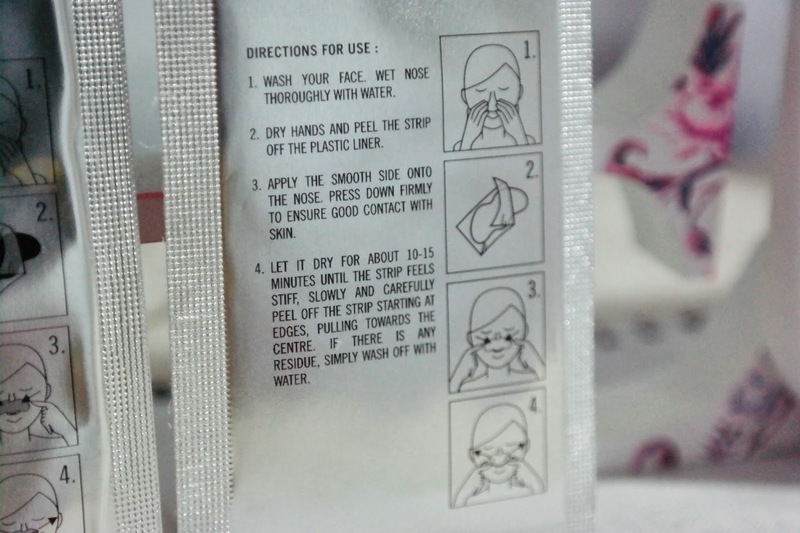 This is NOT the recommended time as it could damage those with sensitive skin but I would suggest you prolong the drying time a little at a time if the 10-15 minutes period doesn't produce much result and if you're confident your skin could handle it. It is also not recommended for daily use. 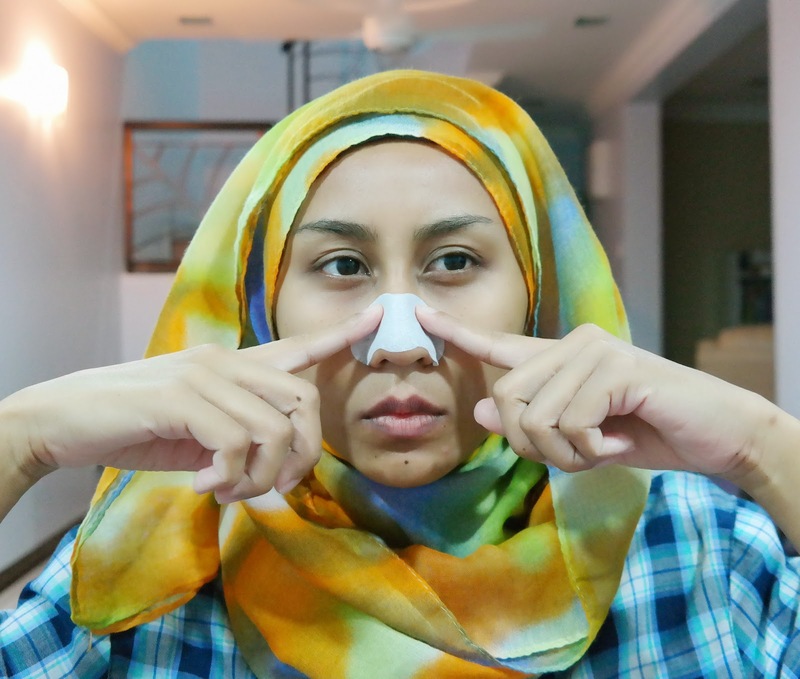 Aside from fear of damaging your skin tissue, you wouldn't get the desired result anyway if you try to "strip" your nose every day. I would suggest once in two to three days. 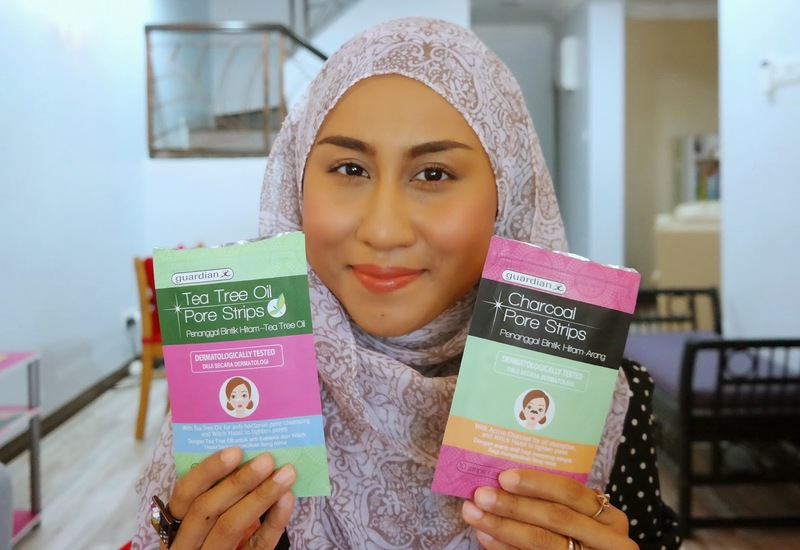 Pore strips are not going to get rid of blackheads forever unfortunately; it's just a way for you to control them. But there's nothing wrong with trying to get rid of some blackheads from time to time, so I highly recommend Guardian Pore Strips. Get yours at Guardian pharmacies around Malaysia or online for RM 9.90 per pack (they might be on sale now so move fast! ).